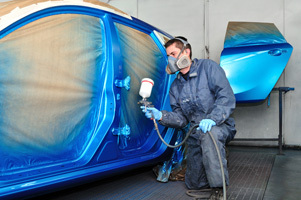 The UK body repair industry’s greatest threat is the current skills crisis, according to a survey that was conducted by Auto Body Projects/Trend Tracker for the recently published ‘Future of the UK Car Body Repair Market 2019-2024’ report. That is the view of over 35% of bodyshop owner/managers who responded to the survey. They cite a poor return on labour charge-out rates paid by motor insurers as the main reason for the industry losing skilled technicians to other sectors in order to achieve better rates of pay. Mark Bull, director of Trend Tracker and author of the report commented: “The skills gap presents a major challenge for the body repair industry. An aging technician demographic combined with a lack of investment in technician training, recruiting and training apprentices has led to a shortage of skilled staff throughout the sector. Compounding this is the Brexit effect whereby some of the skilled Eastern European technicians employed by many bodyshops, are choosing to return home. Amidst these grave concerns, Bull states that all is not doom and gloom. “There is some magnificent and creative work being undertaken by many independent bodyshop businesses, who have created their own apprentice academies or have joined forces with AutoRaise, the industry-based charity that exists to address the skills shortage. AutoRaise has helped the industry tremendously in a relatively short period of time by promoting body repair apprenticeships into schools and colleges, plus assisting bodyshop employers to recruit apprentices. The results of the survey, contained within the Trend Tracker report, also provided positive news in regard to apprenticeships as 49.7% of respondents stated they intend to take on apprentices over the next 12 month period, with a further 26.8% stating ‘maybe’ they will also. However, it’s widely recognised that there’s a long way to go to plug the skills gap, as one bodyshop owner concluded, “I have lost more staff in the past twelve months than I had in the past 10 years. It’s not that they are joining other bodyshops, it’s simply that they can earn more in other industries, and we simply cannot afford to pay them what they are worth on the profits we are making.